This isn't really a review of Chanel Hair Mist because there isn't actually an awful lot to ponder besides this; it's beautiful, it's Chanel and I love it. I was very kindly given the Chanel Coco Mademoiselle Hair Mist on my birthday and since then there's barely been a day when I haven't spritzed it into my hair. My first thought when I unwrapped this was 'Oooooh how lovely!' swiftly followed by ' ...but what's the difference between hair mist and standard perfume? Yes you can spray perfume in your hair (does everyone do that? I always have) but perfume can be extremely drying on the hair strands, which is where this is different. The Chanel Hair Mist contains silicone derivatives - like you find in many shampoos. I know some people take issue with silicones but they do leave hair shiny, soft and healthy looking (notice how shampoo companies use the phrase 'healthy looking' rather than just 'healthy'). So while the hair mist might not include ingredients that are actually good for your hair, it does contain ones that at least make it look good. The scent? Well this just smells exactly the same as the perfume - floaty, floral and fresh. But here's the kicker: It's £15 cheaper. 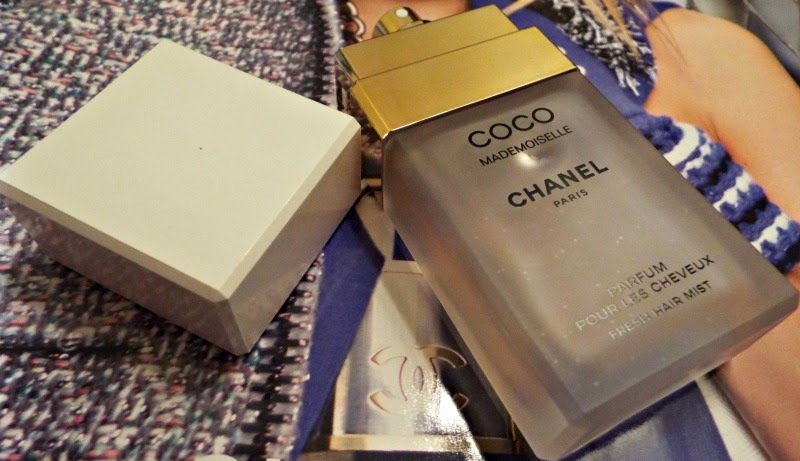 A 35ml frosted bottle of Chanel Coco Mademoiselle is £34 while 35ml of the Eau de Parfum is £49 (prices from Debenhams). 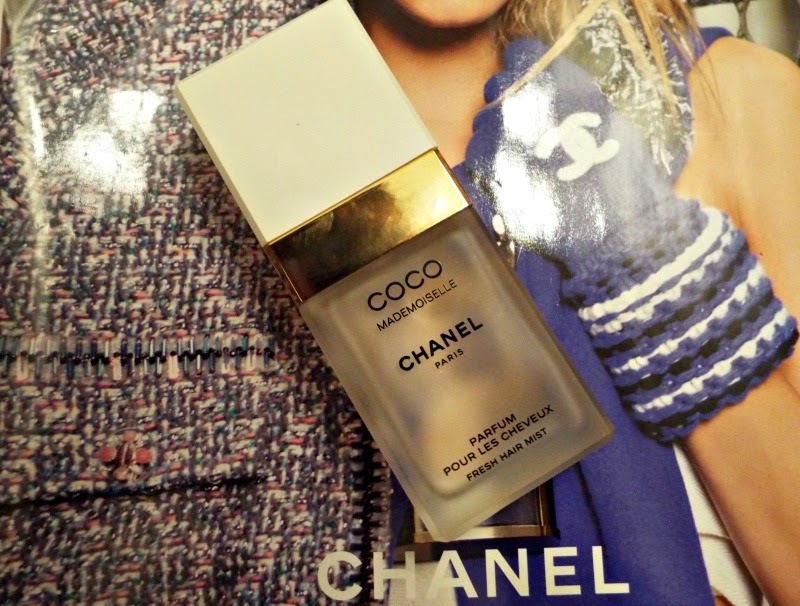 Yes, the perfume would have better staying power but it is worth mentioning that the hair mist is the slightly less expensive way to get your hands on some Chanel fragrance.